Belfast Exposed is a photography gallery that works with a motive of promoting talent and encouraging excellence and bringing the world’s very best to Belfast in the form of photography. The gallery has an extensive collection of brilliant work by local as well as international professionals. The gallery was founded in 1983 and is home to a bookshop and a reading room as well. 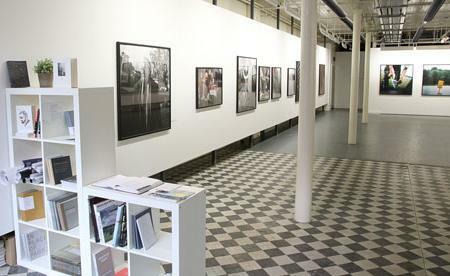 The gallery is open on the 1st Thursday of every month till 9 pm for late night art. 1st Thursday of every month: 11 am – 9 pm. How popular is Belfast Exposed? People normally club together Kingspan Stadium and St John's Orangefield, Church Of Ireland while planning their visit to Belfast Exposed. This place is all about superb photography. Don't let appearances mislead. A quick glance does not do justice and you will take away little. You need to work a bit at understanding the back stories of the photographers and their aims for particular projects. Staff on duty are knowledgeable and helpful and the exhibition space is usually peaceful, allowing contemplation. There are plenty pamphlets and books you can and should consult. This is a place to take time and to think yourself into the mind of the photographer - to understand to what he/she wishes to draw attention. Seldom disappoints. Afterwards, find your way to Clement's Coffee House and take time to reflect over a really good coffee and a stupendously generous pastry. Fantastic gallery that changes display often. Simple layouts that don't feel cluttered and a great usage of space in the building. The atmosphere is very welcoming in here and staff are friendly and engaging. My favourite gallery in Belfast. Professional atmosphere, well presented events. Helpful and informed staff. Comfortable and inspiring. This is one of my favorite places in Belfast! The staff is friendly and knowledgeable, the classes are engaging, and the exhibitions are well curated. Small but beautiful and engaging gallery space.